When I was in the fifth grade, I attended May Scott Marcy Elementary school in San Diego. This school has since been renamed Mission Bay Montessori Academy. The funny thing is that, to this day, I have no idea who May Scott Marcy is. The year I attended the 5th grade, the best teacher was Mrs. Hanson. She was an amazing teacher and I have many fond memories of her class. However, there was one downside to being in her class that particular year. My school participated in an “integration” program and this was the only year Marcy Elementary tried this experiment. One day a week, our entire class was taken on a bus to Chollas-Mead Elementary school [we pronounced it: choy-us] way across town. Several kids from Chollas Elementary were then bussed to Marcy. The kids that were sent to Marcy Elementary apparently just kept to themselves as a group. As I was not at Marcy Elementary on those days, I had no interaction with these kids and only got stories. My experience in being bussed across town was quite eye opening. Chollas Elementary was a much larger school with a vastly different student population. I often felt intimidated by this surrounding. Eventually I made some friends and life settled down on that one crazy day of the week. One of the kids that I made friends with had a lifetime goal that he proudly told everybody. He wanted to become a gang member, make a million dollars and buy a low-rider. He spoke of the certainty of purchasing a low-rider with great pride. Often, he would pop his hand up and down while making the hydraulic “veeeet” sound. When I met him, he was well on this way to achieving this goal. His brothers (who were already in a real street gang) told him that he needed three things to be accepted into their gang: Know how to count up to one million, be able to add/subtract [simple numbers] and form his own “starter gang.” I found it comical that the reason for counting up to a million was so that he could appreciate how much money he would be making. My friend was well on his way and he was the founding member of the “Logan Hills Gang,” the toughest gang in Chollas Elementary. I never actually met the other members and nobody I talked to was aware of the Logan Hills Gang. Every day he told me how may days were left until his 15th birthday when his brothers would allow him to “be tested.” If he passed this apparently criminal/violent test he would proudly become a member of his brother’s gang. As we shared PE and both hated to run, we would walk around the field together. Often, we talked as there was nobody else walking slow like us. I told him that my goal was to become an electrician. He thought this was a stupid goal and I should join his gang. Apparently, joining the Logan Hills Gang was easy. All I had to do was steal a bunch of stuff and give it to him. He actually 100% thought that he was pulling a fast on me. Of course, I wasn’t too interested in becoming a gang member but we still shared many conversations on the topic. Now, don’t get me wrong. This boy was smart, had a real talent for art and was really good at reading. He had a lot of potential and spirit. The main difference between us was that we had vastly different family backgrounds. I suspect that if circumstances were different, his life goal would have been a Mechanical Engineer or an art teacher. When the school year was over, we parted ways without fanfare. I went through grade school and changed my lifetime goal to become an Electrical Engineer (the best kind of Engineer.) Two years ago, I was laid off and decided to give writing a try. 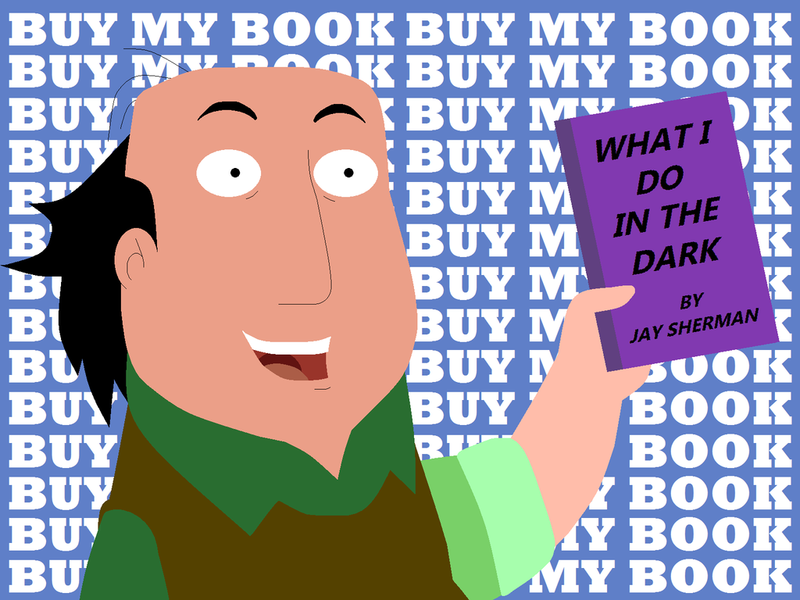 My first book was edited and it was then time to market it. In doing research, I learned that one of the items necessary to market one’s work is a blog. I had always liked the idea of blogging and decided to give it a try. As I was thinking up blog topics, I though about this young boy from my elementary school days. I am absolutely sure he achieved his lifelong goal and became a full-fledged gang member. I have always wondered what happened to him. Did he commit crimes and get caught or did he see that the life of crime was not that great? Of course, I don’t remember his name and I have no way to look him up. All of this made me think of my life’s goals and some of my other choices. Is it a worthy goal to become a writer? I’d like to think so. A writer can create something from only the thoughts in their head. Writers have had a powerful influence on history and they still have a strong place in our society. One day, I placed my book on Amazon and suddenly, I was a writer. Just one click. There were no printing presses, no meetings with “the big wigs” at the publishing house, no book launch party and no book signing tour. In many ways it was kind of a letdown. At the same time, I was happy that I had achieved this difficult goal. Unfortunately, at the time I entered the writing field, there had already been a lot of great writers. It’s difficult to come up with new ideas and often after I have an “original” idea, I do some searching and find that my “new” idea has already been done at least once. Fortunately, it’s much easier to publish and this has allowed the writing field to flourish. For example, this blog entry costs me nothing. If this were the 1970’s, the best I could do would be to mimeograph some typed up copies and distribute these few pages to friends. Now, with the click of a mouse, I can reach the entire world. As an example, yesterday on Facebook, I commented on a post in “Writers Helping Writers” from a woman in South Africa. How amazing is that? Overall, I like sharing my ideas through writing and feeding the creative side of my life. However, I am about to go back to my former full-time roll. That of an Electrical Engineer. Engineering is a different kind of creativity. The joy comes from overcoming a challenge with a technically creative solution. The sharing is seeing your creation being used by others. There is still a lot of writing in Engineering. However, Engineering writing vastly different from the writing in a blog or novel. The focus of Engineering writing is to clearly state a concept or process in such a way that other Engineers can quickly grasp the concept. Since becoming a writer, I have gone over a few of my old engineering documents. As I looked at them I find them to be terse and unimaginative. This makes me wonder what my writing will look like as I again join the Engineering community. Only time will tell. Did you like this blog? There is more where that came from. Please buy my book!!! It’s a good book, trust me, I wrote it.